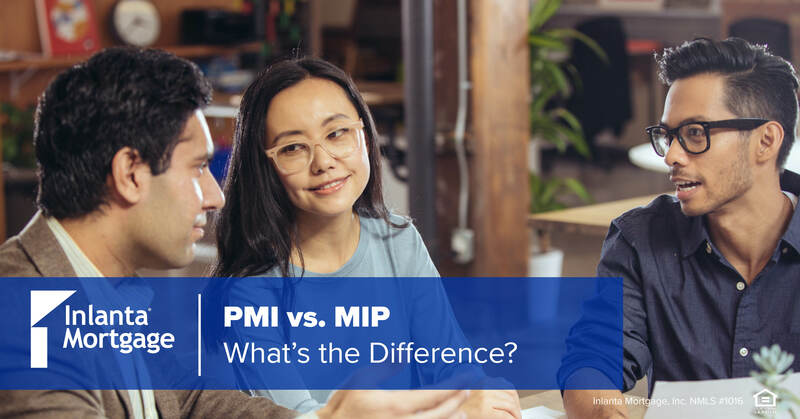 PMI vs. MIP – What’s the Difference? Mortgage insurance is typically required of home buyers when their down payments are less than 20 percent for their home loans. Note that mortgage insurance is designed to help protect lenders and guarantee agencies when borrowers don’t have enough equity in their homes, and is not intended to protect the borrowers. There are two types of mortgage insurance – PMI & MIP. Although the concept of insurance protection is similar, there are distinct differences between private mortgage insurance (PMI) and FHA mortgage insurance premiums (MIP) that should be considered when deciding which loan program best suits your financial needs. PMI, provided by private companies, is typically available in a variety of premium plans and offers payment options that can usually be tailored to the borrower’s needs. There are a number of private mortgage insurance providers and each structure their offerings a bit differently. MIP is the government-administered mortgage insurance program for the FHA. Since FHA loans offer reduced down payment options, MIP is required to offset the risk of borrowers defaulting on their loans. Contact an Inlanta Mortgage loan professional to discuss your options and ensure that you select the program that is right for you! Click here to find a licensed mortgage loan professional near you or apply online today. This entry was posted in Lending Lingo, Uncategorized and tagged FHA, loan programs, MIP, PMI by Inlanta Marketing. Bookmark the permalink.